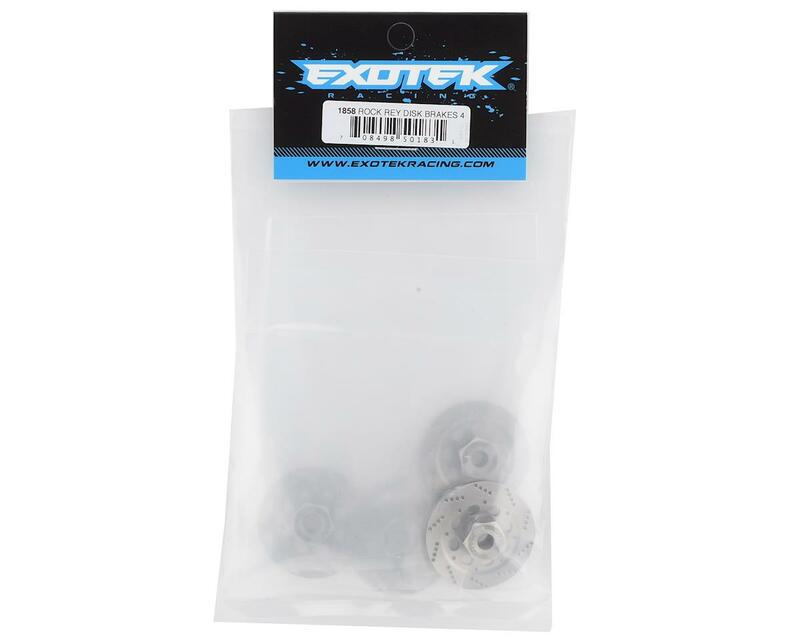 The Exotek Rock/Baja Drilled Hex Stainless Steel Brake Disc Kit is an optional upgrade that offers improved scale details, with the increased durability of a steel hex. The rotor features drilled vented slots adds amazing realism and style to your ride, and the 1 piece design combines the brake rotor and 12mm wheel hex into a single part for increased durability and true wheel alignment. 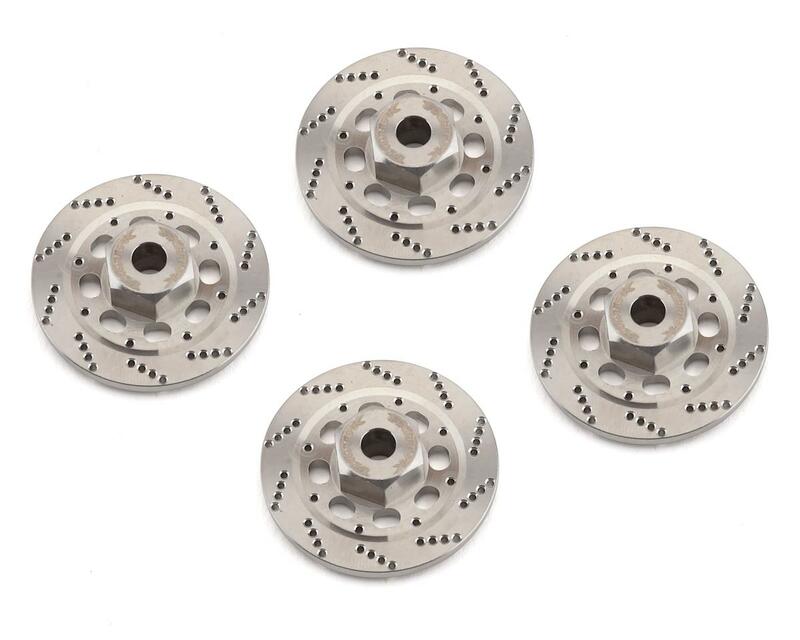 Package includes four brake discs.